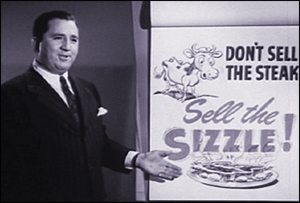 Don’t Sell the Steak; Sell the Sizzle! The greatest motivational sales expert of the century taught hundreds of sales organizations how to increase their sales through applied psychology. His name was Elmer Wheeler. America’s best known sales expert of the 1920’s, 30’s and 40’s, Elmer made his living by helping others become better sales people and made the Hoover Vacuum Cleaner Company, well, the Hoover Vacuum Cleaner Company. Thanks to his marketing savvy, Elmer Wheeler became one of the best-known American marketing experts of his day. His instructional books introduced pop psychology to the realm of marketing; advising would be salespeople to pay more attention to human nature. In fact, most advertising and sales theories of the last 80 years have built their foundations on his theories. “Although the cow is mighty important if you want them to buy more than once, Sizzle and aroma has sold more steak than any cow,” said Wheeler. Benefits; not features. Solutions; not issues. Feelings; not facts. At sPA, we believe in Elmer’s insight. More importantly, after seeing his principles put into action through today’s media channels, so do our clients. 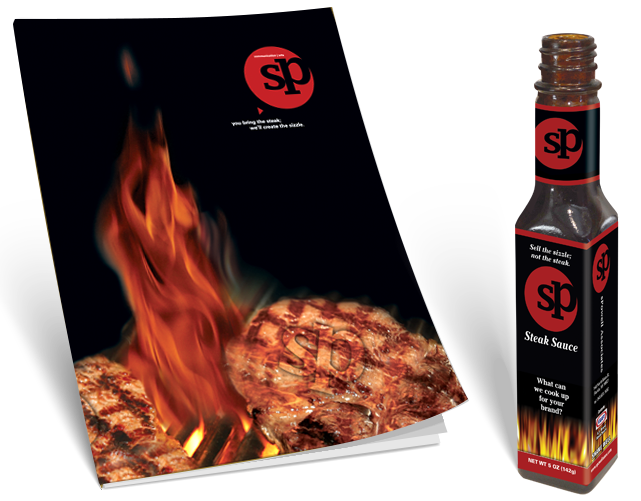 Through proven processes, we find and leverage the prime marketing strengths of your particular cut(s) of steak. We help determine your prime sell messages and targeted markets, cook up amazing sizzle for those messages, then deliver them to your market(s) in the most cost-effective ways possible. 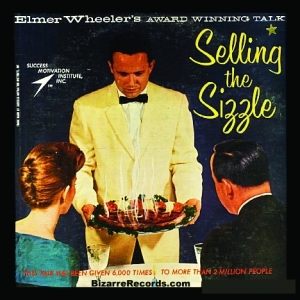 Sales and marketing expert, Elmer Wheeler, explains the importance of selling the ‘Sizzle’.